It was around this time that I also pursued Reiki training as a means of putting my body back together again. Largely fed up with a medical establishment focused on symptoms instead of root causes, I’d become aware of the importance of taking a holistic approach to my health. Over the years, Reiki and hypnosis have proven to be the most powerful healing forces in my life, not only helping me physically and mentally, but also significantly expanding my consciousness. I eventually learned that the self-hypnosis technique given to me was developed by Elizabeth (Betty) Erickson, wife of the late psychiatrist Milton Erickson, M.D., one of the towering figures in modern hypnotherapy. This technique truly is easy enough for anyone to use. If nothing else, it would be a wonderful meditative exercise. But it’s oh so much more! 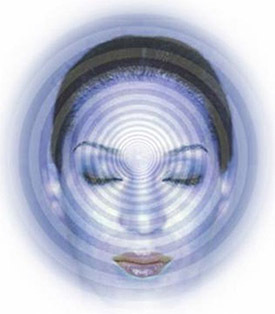 As with Reiki, the obvious beauty of self-hypnosis is that it’s a healing art you can easily learn to use on yourself. Since 1997, I have continued to use the following self-hypnosis technique virtually every day, and I regularly achieve remarkable results. While I encourage you to use this technique, you might it very helpful to employ the services of a certified clinical hypnotherapist to help you get to the root of some issues that have been holding you back in a hypnotherapy session. At Wellspring Rejuvenation Center, we help clients address a wide range of issues (such as Stopping Smoking: Quitting for Good). If you don’t live in Atlanta, Distance Hypnosis Sessions available by phone or Skype. Claim your free phone consultation today.You can reach me at 404-444-6924 or wellspring1120@gmail.com. Get in a comfortable position – Find a comfortable chair to sit in for the duration of the process. Then start breathing slowly, allowing yourself to become deeply relaxed. Determine the length of time for the session – 20 minutes is pretty standard, but you could go longer or shorter (15 or 25 minutes, for example). Then say how you want to feel at the end of the session. I usually reinforce my goal by also including it in a sentence like this: “When I awake in 20 minutes, I will feel joyous, full of positive energy and very self-confident,” for example. Or you might want to feel deeply relaxed at the end if bedtime is approaching. I usually only include three goals for my posthypnotic state, because I want to keep my mind focused on my main mission, but you could try including more. Experiment with different goals for your sessions. You might need assistance in becoming free of a particular obsessive/compulsive habit. For weight control, you could become committed to eating appropriate amounts of healthy food every day (adjust the language to your needs or liking). Try simply feeling joyous and grateful if you’re feeling down. As a professional writer, I always use this to become very focused on writing excellent stories on days when I have major assignments due, putting myself in the zone where all the right words speedily fall into place. Immediately after you’ve made your statement of process, you’re ready to begin the induction process. 1. Lookin g in front of you, notice three things (one at a time) that you see. Go slowly, pausing for a short while on each. Look at small things, such as a spot on the wall, door knob, candle flame, crystal on the table, etc. Some people like to name the items as they look at them. 2. 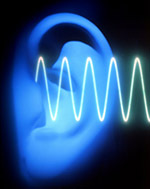 Now turn your attention to your auditory channel and notice, one by one, three things that you hear. You might notice the sound of a clock ticking, fan blowing, creak of a settling building, cars passing by outside, or birds chirping. If it seems perfectly quiet in your particularly environment, notice the sounds of your breathing and swallowing, or create a sound by gently tapping your foot or clicking your teeth. Focus all of your attention on each sound for a short while. If it was just a momentary noise, replay it in your head a few times. 3. Next shift your attention to your physical being, and notice three sensations that you feel. Again, go slowly from one to the next. Spend some time focusing on each sensation. Try to use sensations that normally are outside of your awareness, such as the weight of your eyeglasses or the skin sensations created by a watch, piece of jewelry, article of clothing, hair on your forehead or neck, the soles of your shoes, your lips touching, etc. 4. Repeat the process with two different objects, two different sounds and two different feelings. If you find yourself drawn to focus on a sound you used before (such as cars passing or the air conditioner blowing), that’s completing fine. 5. Repeat the cycle once again using one different object, one different sound and one different feeling. At this point, you’ve completed the “external” portion of the process. Now it’s time to begin the “internal” part by closing your eyes. 6. Imagine one small thing you see. Use whatever pops into your head (a leaf, flower, diamond, toothbrush, etc.) and focus all of your attention on it for a short while. Study the object as best you can in your mind’s eye. Make it seem as real as you possibly can. If you’re not a strong visualizer, just do your best. The process will still work. 7. Then imagine one thing you hear. 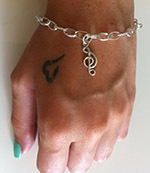 It could be a part of a song or the sound of a lawnmower, clothes dryer, whistle, running water, etc. Though this is technically the “internal” part of the process, feel free to use an actual environmental one (such as a dog barking) if it comes to the forefront of your attention. It’s better to incorporate such a noise than be distracted by it. If you choose a momentary sound, such as a whistle blowing or door closing, replay it in your head a few times. 8. Next, imagine one thing you feel. You could think of the feelings created by the sun on your nose, wet sand under your toes, a kiss on the lips, dental floss between your gums, a razor shaving your face or legs, etc. Try your best to focus all of your attention on these sensations as if they were actually happening. Again, if an actual physical sensation comes to your attention, feel free to use that. 9. Repeat the process with two different images, two different sounds, and two different feelings. 10. Repeat the cycle once again using three different images, three different sounds, and three different feelings. 11. Then you’re done. Open your eyes and go about your day. You’ll often find that your body’s internal clock works so well that you’re done exactly at the end of the allotted amount of time. But even if you’re a little over or under your desired period of self-hypnosis, it doesn’t matter. Regular practice will yield better and better results! Hypnosis is a state of concentrated, focused attention. If you’ve ever found yourself intensely involved in a book, piece of music or television program, you might have entered a naturally occurring hypnotic state. Hypnotic procedures typically involve moving away from the environment around us and turning our attention inward. The Erickson technique accomplishes this by moving from actual environmental sights, sounds and feelings to imagined ones. In many effective self-hypnosis procedures, participants enter a trance and then give themselves suggestions via the conscious mind. 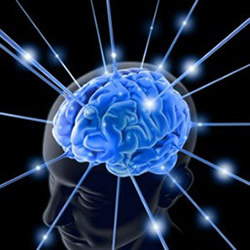 However, a guiding principle of the Erickson technique is that understanding by the conscious mind is unnecessary for change. As advocates of this technique have noted, if your conscious mind knew what to do about particular problems, you wouldn’t need hypnosis at all. In fact, your conscious mind often gets in the way of change, saying things like “I can’t…” or “I don’t know how to….” The Erickson technique described above is designed to keep the conscious mind occupied so that it won’t interfere while your unconscious mind is doing the work you requested. The Erickson technique takes full advantage of the power and resourcefulness of your unconscious mind, which has learned a tremendous amount during your lifetime(s) and can apply this knowledge for you in hypnosis. While your conscious mind can only process so much information at a time, your unconscious mind is not so limited. It can think holographically and is capable of finding better solutions for you than your conscious mind. The reason why the Erickson technique requires you to focus on things you see, hear and feel is not only to keep your conscious mind occupied, but also to help you enter an altered state. We process information (or think) in pictures, sounds and feelings. 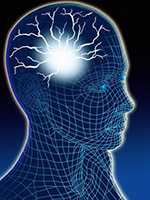 In Neurolinguistic Programming, these sensory modalities are referred to as representational systems: visual, auditory and kinesthetic (feeling). Most of us have developed greater proficiency with one particular system, even though we each use all three of them. Therefore, the individual who thinks primarily in images wouldn’t experience an altered state of consciousness simply by visualizing. However, if that same individual were to experience a preponderance of feelings or sensations, this would be unusual – an alteration of their state of consciousness. An altered state simply refers to processing information in a different manner than usual. I highly encourage anyone reading this page to give this techqniue at least several tries. It can change your life! 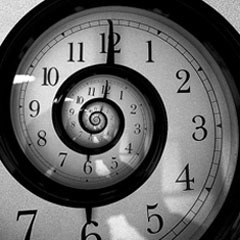 You may find that the effects of self-hypnosis in some areas (self-confidence, for example) wear off over time. If you find results fading away sooner than you’d like, experiment with placing a time frame when stating your principal goal (for the next day, week, even year). Don’t be discouraged. Just keep repeating the process until desired changes become a permanent part of your mind’s program. The technique is also effective for short-term goals, such as being focused on a particular project that you wish to let go of upon completion. Your mind will know when it’s time to shift into another mode. You’re still in control. Three things you see, three things you hear, and three things you feel. Two things you see, two things you hear, and two things you feel. One thing you see, one thing you hear, and one thing you feel. NOTE: If you gained value from this process, but feel like you need to do deeper work and greater guidance, I am available in person or by phone/Skype. Distance Sessions are a wonderful option if you don’t live in the Atlanta area. Click here to learn more.